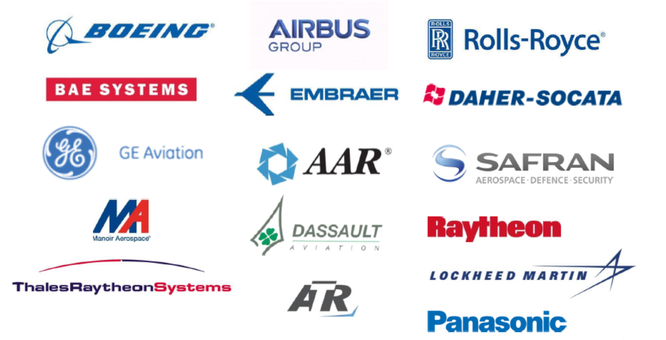 USAIRE is a network of American and European companies striving for intensifying the international cooperation and strengthening the links between the private and public stakeholders of civil and defense aerospace industry. 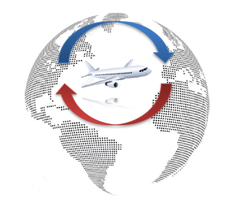 Since 1959, the USAIRE Association aims at fostering international understanding and cooperation in the transatlantic aerospace and high-technology communities. Our current membership consists of over 130 American and European business representatives of American and European companies. USAIRE also host a traditional Thanksgiving Dinner during which an Industry VIP hands the USAIRE Student Award over. 300 top executives, members of government, diplomats, parliamentarians, senior military officers and presidents of airlines are attending this cocktail and gala dinner. The last issue of this dinner took place on the 24th November, in the presence of Patrice CAINE, CEO of Thales. The USAIRE Student Awards 2018’s laureates will join us on the next Thanksgiving dinner, on the 23rd November 2018.